Brendan Williams is a practicing engineer / producer and academic. 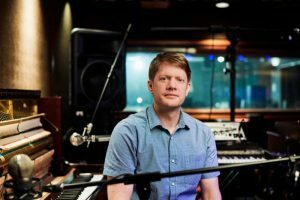 He is the programme leader for BA Music: Creative Music Technology at the University of Salford, from where he received his PhD (by publication) focussing on a series of album releases drawn from a diverse discography. Equally at home collaborating with art poppers Dutch Uncles or the cutting edge contemporary work of Psappha, a good deal of his output has seen him at the centre of Manchester’s jazz scene over the last ten years. Williams has engineered and produced nine albums for Gondwana records to date, including releases from Matthew Halsall, Nat Birchall and GoGo Penguin, he continues to co-produce GGP following their move to Blue Note Records. In 2016 Williams co-founded Low Four Studios (www.lowfour.tv) which operates as a commercial recording facility, a ‘TV style’ live performance environment and educational resource in collaboration with UoS.